Two videos of the OneOak Sounding Bowl have been released this week. The first shows the making and turning processes by Tobias Kaye of Sounding Bowl-310, plus a second bowl that unfortunately developed a fatal split during the making process. The second video is of Tobias Kaye playing Bowl-310 to demonstrate its beautiful deep melodic tones. Last week we posted the story of a Sounding Bowl made by Tobias Kaye as part of our OneOak project. We asked Tobias to tell us more about his work and inspiration. Here are his words. I should mention that not all of any tree is worthy of instrument making. Again and again foresters have been puzzled by my choice of bits from the trees I am offered. Through watching Sounding Bowls develop and each one change as it began to sing I noticed that the wood deepened it’s musical response as it took up the huge tension of many steel cored strings. Woodworkers sometimes use the wood from the fork of a tree for decorative panels because the grain goes wild at the point where it ‘has to decide’ which branch to go up. the action of growing this way and that to fill in the gap between the branches knits the grain together and forms a strong area in which huge growth stresses actually bind the branches together resisting the winds tendency to pull one off. In some situations, forks branching at less than about 25% apart this growth pattern fails and leaves a huge bark inclusion deep into the tree. Branches from this growth pattern are frequently pulled off by wind. Branches that fork at greater than 30% have a pattern within the wood, if cut at the best angle that is called ‘Flame Grain’ by furniture lovers. Experiments showed that stressed-in-growth, flame grain figured wood created an instrument in which the sound was immediately richer, more resonant than using straight grain. Using this wood does create real problems in drying. The stresses of drying wood combined with the stresses already present require huge amounts of monitoring and care during the drying process. Sounding Bowl No.310 was first kept in a plastic bag , then given periods out of the bag, then longer ones and given repeated coats of oil during this time. Some woods do not like being bagged, Oak handles it well. Another problem arises in cutting such discs from the tree. Wherever the centre of growth, the pith or heart of the tree is included splits will spread out from this point as drying proceeds. The best figure in the grain is right up against the heart. Finding the bits that will provide really good music takes a good deal of experience. Especially when a fork has supplementary branches going off at other angles. The Music is the answer. 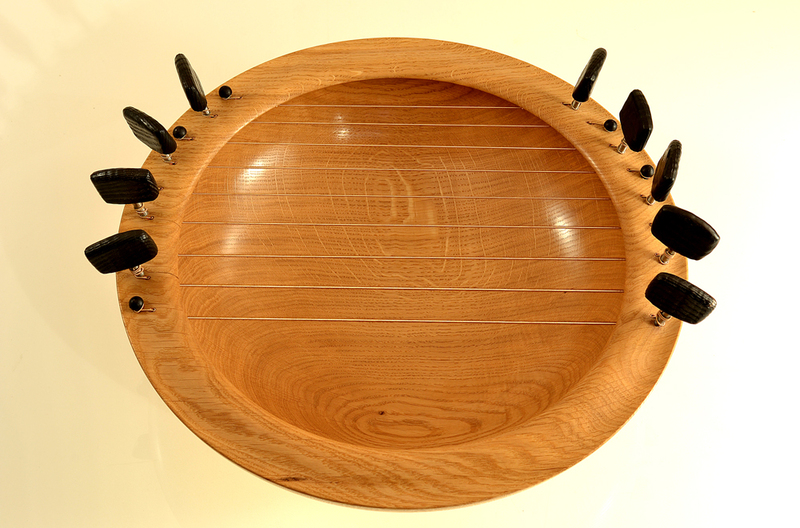 Sounding Bowls are one of the few instruments made entirely with hardwoods. Most musical instruments have softwood sound boards. Every wood has its own personality. One sees this in the shape of the tree, in the colour and feel of the wood, in the way a tree relates to it’s environment as well as in the sound it gives when made into a musical instrument. Oak is famous for it’s remarkably strong personality. In the woods it harbours more other forms of life than any other tree by far. In a beech wood very little grows underneath. Sycamores take over, crowding in so densely that even they themselves suffer loss of light. An oak wood is full of understory life and an oak tree is more inclined to allow room for other trees; Birch and Holly seems to love the company of Oaks. Each musical instrument has its own voice. Every Sounding Bowl sound different, shallow, deep, five string or fifteen string, Melody pattern or Bridging pattern all have different sounds yet the sound of the wood is still a major factor in how one Sounding Bowl is different from another. If you were to visit the Sounding Bowls you tube channel and compare the sound of Melody Bowl 326 with 327 you might notice some of these differences. I will get around to doing a video and soundtrack of the OneOak sounding Bowls soon. I say might because if you just listen to the music you will not hear the ‘voice of the singer’ the sound of the wood can be felt within the sound of the notes. If you listen particularly to the ‘strike’ the initial hit as the string is released from the finer, and to the ‘decay’ the way in which the sound fades as the note dies you will begin to notice that one wood sounds really different to another. To get a feeling of the personality of the wood you can delve into two areas of your personal response to the strike and decay. The first question to ask is “which area of my body do I feel this in” you might notice that your lungs, or your stomach or your head respond particularly to this or that wood’s sound. The other question is “how does this sound affect my feelings” you might notice that one wood gives a cheerful feeling, another a comforting feeling or a third gives a feeling of quiet, wise reliability. It can take some practice to learn to ‘listen in’ in this way, and even when you manage it what you begin to gain is not really a sense of the wood itself but a sense of how that wood figures in you. In other words you are delineating a relationship that you as a unique personality have with this wood as it manifests in this particular instrument. This it takes some time to come a real feeling for the personality of any wood distinct from the instrument that is playing it today. The sound of any wood is true to it’s tree-nature. Cherry is bright a joyful in sound, emphasising the spring-time experience of life which is when it delights us most with it’s flowering. The sound of Oak is hard and strong with none of the wishy washy bending before the wind nonsense of smaller trees. Like the branches that change direction suddenly the inner sound of Oak is direct and uncompromising. Oak is not a wood I expect to use for Sounding Bowls a great deal as, personally I like a little more willingness to go with the flow in my music. But given that Sounding Bowls are used in therapy and healing more than anything else I suspect that Oak will find a good place with people who are seeking to develop their assertive skills. 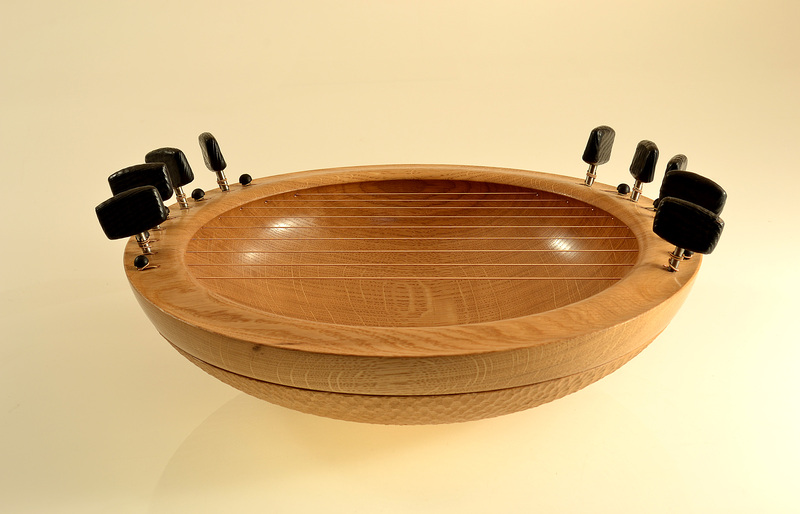 If life has left you too bent by the wind perhaps some time playing an Oak Sounding Bowl could be just what you need. 2012 is an exciting year for the OneOak project as the dried timber is now with dozens of craftspeople who are working on making many diverse items. We are building up towards several major exhibitions later in the year, at which we will be bringing together the art, the science, and for the first time, all the wooden products from the OneOak tree. We are very excited to have been sent this image of a truly beautiful meditative Sounding Bowl made by Tobias Kaye, numbered 310, from the OneOak wood. Sounding Bowls were developed by Tobias over 20 years ago and are now in use in hospitals, hospices, private clinics, care homes and special education situations in four continents. 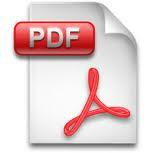 They are used by singers, poets, healers, registered therapists, doctors and nurses in a huge variety of situations. Tobias says that “they assist people in opening up hearts”. Back in October 2011, Nick Bainbridge from Blenheim Estate, the forester who felled the tree, skilfully wielded his chainsaw to cut two giant discs for Tobias Kaye, whose requirements were demanding. We needed to find a large piece of wood from the tree that contained a crotch or fork, as this would have the immense strength needed in these bowls, which have to withstand the tension of the strings. We had kept all the crownwood in a pile at Blenheim Estate where it has been drying slowly. 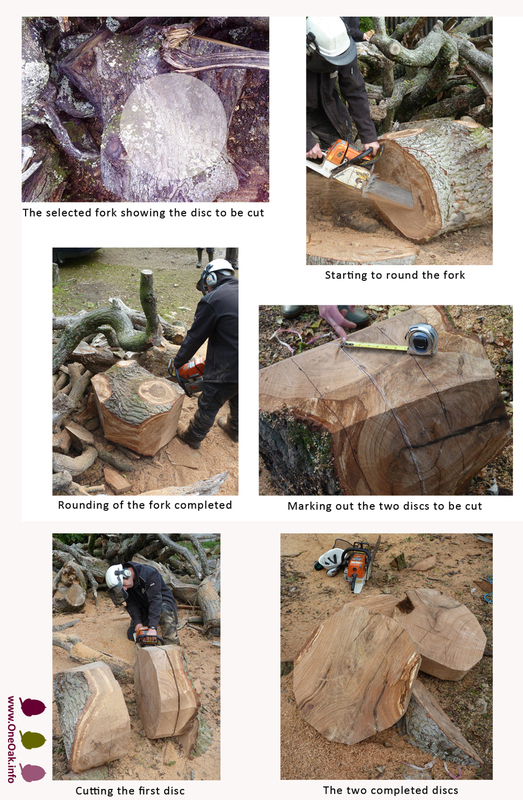 The photos below show the steps necessary to cut two large discs which were then sent by Courier to Tobias Kaye’s workshop in Devon. Tobias is currently working on a second smaller bowl (numbered 331). We have asked Tobias to write about his work, and we will post this here soon, together with a film of the making and a recording of its wonderful sound.